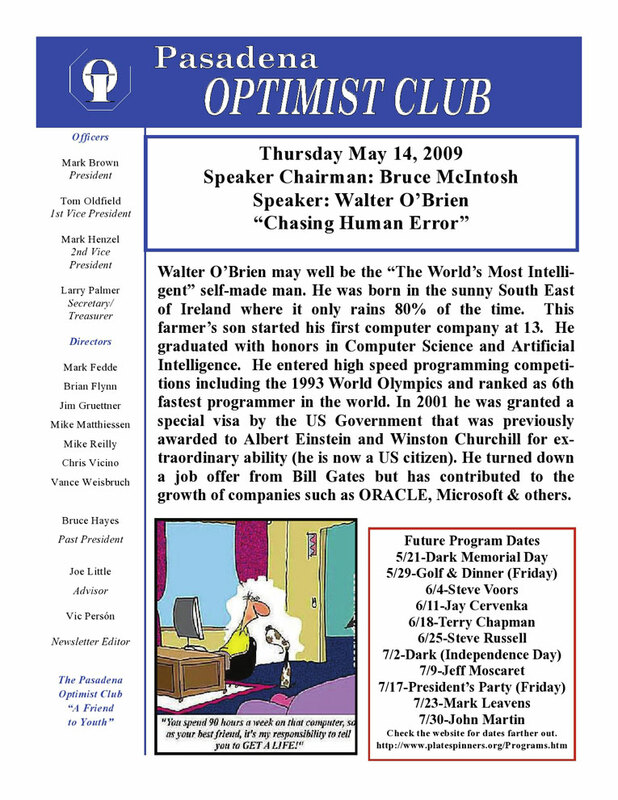 Since 1919 Optimist Clubs have been meeting the needs of young people in communities worldwide. There are 105,000 individual Members who belong to more than 3,200 autonomous Clubs. Optimists conduct 65,000 service projects each year, serving six million young people. Optimists also spend $78 million on their communities annually. Optimist Clubs conduct positive service projects aimed at providing a helping hand to youth. By believing in young people and empowering them to be the best they can, Optimist volunteers continually make this world a better place to live.